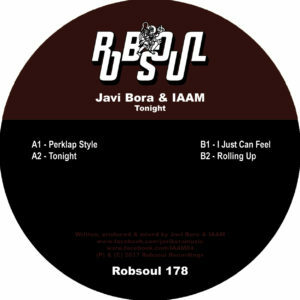 Summer’s round the corner and Javi Bora & IAAM are back on Robsoul with a sizzling new soundtrack for the weeks ahead. 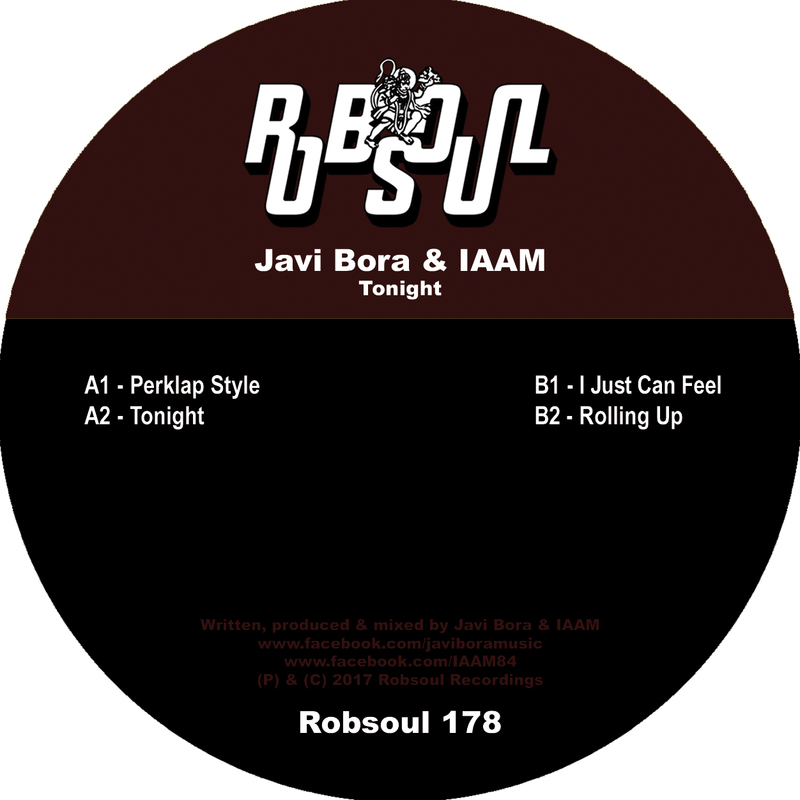 Somewhat of a label regular, Javi makes his fourth Robsoul return, backing up EP’s in 2012, ’13 & ’14. He teams up with fellow Spaniard and regular sparring partner IAAM, as they follow up recent releases on Music For Freaks and Bauhaus with ’Tonight,’ a four track party-starter of an EP. The drum-laden ‘Perklap-Style’ opens the EP and its raw energy is quickly followed by the filtered disco flavour of ’Tonight’. On the flip the funky feels continue with ‘I Just Can Feel’ as its classic sample calls for some choreographed roof raising. Finally, closing up is ‘Rolling Up,’ a bass-heavy beat tool that brings a perfect end to Tonight.